This Blog discusses the problems of the British expatriate pensioner in France & Europe. If you are concerned then it is essential that you write to your MP or a Minister. Links to find your MP, and ideas for a letter are at on the right below. You can also comment or email the blog author -- see profile. Political Action is ESSENTIAL - one must not just grouse. View "FOUR CONCERNS of this blog". EMAIL "Debout!"...... *Say what you think - of your concerns. The British Public have voted the UK out of the EU. An abyss is opening under expatriates in the European Union. Many were not allowed to vote. The author (Brian Cave) has fought since 2002 to awaken the British Citizen to the dangers of ignoring politics - Now a chop is descending, because so many have been so blind. At the age of 85, there is little energy left to continue. No doubt I will continue. But I urge readers to become a member of ECREU [Expatriate Citizen Rights in the EU] Free membership. And also join the Liberal Democrat Party - which seems the only Political Party left now- With its reformed outlook, it is the only Party untrammeled with antiquarian views. It is clearly the Party for the Future. I have sat on the fence maintaining a non-party political position. It seemed that in that manner I would offend no one. But one cannot go on. Until February 2016. Then I joined the Liberal Democrats. It is our only hope. * EU justice & protection February '16. Correspondent list -- An 'update' email is frequently sent to all who email the site. All email addresses are 'hidden' and anonymity is hoped to be always achieved. If you wish to be on this correspondent list, please email. Nothing is asked of you, other than your goodwill. IF ONE DOES NOTHING _ NOTHING GETS DONE! Numbers count when petitioning politicians. When letters are sent to politicians it is immensely helpful to say that one has the support of xxxx expatriates. So please give support. Encouragement is also a great boost to morale! Nothing will change without your support! *The Readers Letters* link is updated from time to time which see. One should not expect fast movement but please keep in touch and never surrender. Your thoughts on everything would be welcome. One relies on feedback to improve this site. No contribution is an unnecessary contribution. And please make a nuisance of yourself in Whitehall and Westminster. Constant dripping wears away stone. Do not underestimate the value of the constant drip! Please disseminate information about this site, inform your friends and media outlets, and keep watching! If you do not stand up for yourself, others will surely keep you down! Remember - Please tell others about this blog - and please write to the politicians - you must do this if anything ever is to change. Continuing free movement for British people living in the EU27 is one of the outstanding issues in the negotiations on citizens’ rights. Over the next six months British in Europe will be upping the ante in our campaign to retain free movement rights, and we’ll need your help. This short briefing paper outlines what free movement is, what the issues are, and what is likely to happen if we lose our free movement rights after 31 December 2020.  provide services cross-border and to mutual recognition of your professional qualifications. Free movement of people is one of the 'four freedoms' guaranteed by membership of the EU. The other three are freedom of goods, freedom of capital and freedom of services. The ability to move and reside freely is a right. But it is regulated and there are conditions that must be fulfilled, even as an EU citizen. These are implemented to a greater or lesser degree across the different EU countries, but the same regulations apply throughout the EU. those who have exercised their right to free movement and those who haven’t. You’ll hear this referred to as ‘exercising free movement rights’ or ‘exercising treaty rights’ (they’re the same thing). This is important, as only people who are exercising free movement rights at the 'effective date' of the withdrawal agreement (31 December 2020) will be covered by the agreement. For example, if you are a UK citizen living in another EU country under one of the circumstances above, provided you meet the conditions you are exercising free movement rights and therefore are making use of EU law. If you haven't moved to another EU country, though, you will not usually be exercising your treaty rights and therefore cannot usually make use of EU law.  spending periods of less than 90 days at a time in a second home in an EU country. If you have a house in an EU country but have not established residence there before 31 December 2020, you will not be covered by the withdrawal agreement as you are not exercising free movement rights. If you subsequently decide to move permanently, you would do so as a Third Country National, which is a more complex and demanding process with stricter conditions. The rest of this briefing relates to those UK citizens who are resident in the EU and are already exercising free movement rights or who will be doing so before 31 December 2020. The draft Withdrawal Agreement does NOT include the continued right of British citizens living in the EU to freedom of movement: instead, our protected rights are only valid in the state in which we’re resident on 31 December 2020.  If your work currently takes you to another, or various other, EU countries and you don’t fall into the narrow definition of a ‘frontier worker’, your life would change dramatically and in a worst case scenario you could lose your livelihood.  If you currently provide cross-border services – for example, as a translator or a tour guide – you would no longer be able to do so.  If you want to apply for a job in another EU country in future you could find yourself facing new hurdles.  If you simply want to move on to another EU country to experience life there, or benefit from a warmer climate for health reasons, or move closer to family or friends, you could find yourself barred by stricter and more difficult residence rules and income requirements. Does this mean that we’ll be ‘landlocked’ – confined to the country we’re living in at Brexit? Yes … and no. it’s complicated. When the UK leaves the EU, we would become third country nationals (TCNs) – this is the legal term for citizens of non-EU countries. There is a bundle of EU law covering third country nationals, who have some rights of residence in and movement across the EU27, although these are limited compared to those we currently enjoy as EU citizens (see below). It has been suggested by the EU that where the Withdrawal Agreement doesn’t provide for certain rights (for example, free movement), we can simply fall back on the EU law that covers third country nationals. The first point to make is that only third country nationals who have been resident in their host state for 5 years or more and hold a Long Term Residence Permit have free movement rights. The Long Term Residence Permit is the equivalent of the Permanent Residence card for EU citizens, although the rights it confers are more restricted than those held by EU citizens with permanent residence. These rights are conferred by the EU Long Term Residence Directive. This is the route your Australian or other non-EU friends have to take to establish long term residence in the EU. Our rights, as British citizens in the protected group and in the countries we’re living in on 31 December 2020, will be conferred by the Withdrawal Agreement, not by the Long Term Residence Directive. But if you want to move to another EU country after 31 December 2020, unless our current free movement rights continue it’s likely that you would have to follow the same route as your Australian friends.  Long term residence rights are not automatic – they have to be applied for, and to apply you must show that you have ‘stable and regular resources’ that are sufficient to provide for yourself and your family without recourse to public funds. These income criteria are often higher than those in the same state for EU citizens.  You also need to demonstrate that you have health insurance ‘in respect of all risks normally covered for nationals of the state of residence’. income criteria for ‘stable and regular resources’, which vary widely across the EU). Most states also apply national integration conditions, for example language ability at a certain level. And unlike permanent residence for EU citizens, long term residence rights are lost after an absence of 12 months. What free movement rights do third country nationals have?  other purposes (for example, retirement). If we lost our current right to continuing free movement, it’s likely that we would be treated as third country nationals for the purposes of moving on to another EU country. Once again this is complicated though, as we’d be in something of a hybrid situation: unlike other third country nationals our rights would not be conferred by the Long Term Residence Directive but by the Withdrawal Agreement. But assuming it to be the case, if you wanted to move to another EU country after 31 December 2020, you would need, in your new host country, to provide evidence of stable and regular resources and health insurance, and you’d be subject to your new country’s integration conditions. If you were moving to work, you would almost certainly need authorisation from your new state of residence, which is entitled also to apply its own labour market policy (for example, applying quotas for certain jobs). And you’d be excluded from providing cross-border services. As you can see, although you’d have some free movement rights, those rights would be much more limited than those we currently have - and for many would restrict or curtail their ability to move to or work in another state. And those with less than 5 years residence in their current host countries would have no free movement rights at all. If your main interest is in travelling to other Schengen countries for short periods rather than moving to another country, you would still be able to do this as a third country national living in the EU after Brexit even if we as UK citizens lose our current rights to free movement. But once again, there are restrictions. As a third country national, you can spend 90 days elsewhere in the Schengen area in any 180 day period. The 180 day countdown begins on the day you arrive in another Schengen country. go back to Spain for the period July to September before returning to France again from October to December. But … you wouldn’t be able to spend any time in any other Schengen country during that year – not even a quick weekend on a cheap Ryanair flight - as you’d have used up your whole allowance. Your current rights as an EU citizen allow you, for example, to spend 3 months in Spain, then 3 months in Portugal, then 3 months in Italy, then 3 months in Germany … and so on, all without returning to your country of residence. But as a third country national without our present free movement rights, long-term travel like this would no longer be possible. You’d also need to keep a careful record of your travel dates in case you were stopped on a regular police or customs control. … you may be one of the people for whom continuing free movement rights are not important. But for many people, life without our current right to free movement would be infinitely poorer. And for some, it could be catastrophic. British in Europe has argued, and continues to argue, that the EU is wrong in denying us our free movement rights, for two reasons. Firstly, because we consider that as a matter of law, these are existing EU rights; and secondly, because of their practical importance to us as UK citizens whose rights are protected by the Withdrawal Agreement. We intend to continue a robust campaign over the next six months, because “nothing is agreed until everything is agreed”. If you value your free movement rights then please help us to do that. Your group will give you all the information you need to get involved; if you’re not in a group, then follow the British in Europe website for updates. At long (very long) last Harry Shindler's quest approaches its goal. Harry at 96 has for so long been fighting for British Citizens abroad to be recognised by the Westminster Government. That is to have their Right to a VOTE. Some years ago he brought a plea before the European Human Rights Court (nothing to do with the EU Court of Justice) and was refused. We should also recall that James Preston, a businessman who was living in Madrid in 2012 took a similar case to the Supreme Court in London and there it was also refused. NOW- On Friday 23rd February The Overseas Electors Bill passed the 2nd reading in the House of Commons. you can read the text from Hansard as under. Some members almost filibustered the motion out. One of these was Sandy Martin MP (Labour) for Ipswich. He spoke at length about the Frozen Pension situation, where Citizens who have retired to Australia and South Africa and elsewhere (but not the USA or Jamaica) have their State pension frozen. That wrong should most certainly be righted but Mr Martin's speech wandered considerably from the point of the debate which concerns the VOTE, and that alone. 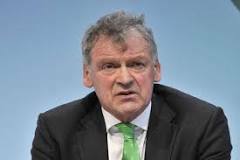 However Mr. Martin spoke at length why Britons abroad should NOT have the vote. He was vehemently opposed to the idea. Mike Gapes (Labour) spoke volubly in support of the Bill. He is the representative of Labour International in Parliament and represents all those Labour voters abroad who are proudly British. Sir Roger Gale (Conservative) spoke with passion about Harry Shindler in support of the Bill. The end of the debate was remarkable. The Shadow Deputy Leader of the Labour Party in the Commons (Cat Smith), spoke from the Labour front bench. Though she made a veiled support for the principles of the Bill, she then embarked on what a fellow Labour member (Paul Flynn) called a ‘filibuster’ which would have talked the Bill out of time. Cat Smith was speaking as for the Labour Party. But she must have known that by going on so long, the Bill was likely to fail. If it had failed it would have been the Labour Party which kicked it out of touch. Geoffrey Clifton Brown (Cons) intervened. He requested a motion of closure - But no division took place because the ‘nays’ did not put forward any tellers (those who tally the votes). The ‘Ayes’ had it, as they say , hands down - more truthfully 'hands up', with shouts of Aye ringing to the rafters. We await the debate in the forthcoming ‘Committee Stage’ in a month or two. Be prepared to support it, and to lobby the MPs. Harry Shindler was delighted! He tells me that if the Bill eventually fails because of the tactics of the Labour Party he will resign his life time membership. He is the oldest member of the Labour Party. Various members praised Harry for his steadfast campaigning on this matter. Many Britons who live abroad feel abandoned by their National Government. Those who live in the Far East or Africa have long suffered a diminution of their income because the Government refuses to increase their State pension. Now The Referendum has brought a feeling of this abandonment to Europe, especially to those who have no vote because they moved to Europe more than fifteen years ago. On February 23rd some progress might be started to put this abandonment of the British Citizen by the British Government into history. But you, the reader of this page must take action. Note that the address of the House of Commons is London SW1A 0AA. Will you write preferably by letter post to one or more MPs. Especially to Labour MPs? If you had the vote…. If you have resided outside the United Kingdom for more than 15 years you won’t have the Vote… but if you had the vote the MPs would be interested in YOU. But few MPs are interested. You must make your voice heard. It benefits no-one to say ‘Why should I vote? I don’t live in Britain.’ I have been writing and blogging for years on this and suddenly Brexit arrives. Perhaps you approve of Brexit, perhaps not. Perhaps you approve of the State pension being frozen to ordinary elderly retirees in Australia. Whatever. What happens in Westminster most certainly affects you as a British Citizen. Yes it does. You should have a voice. A Vote for Life. Most Governments in Europe and leading nations in the World recognise their citizens. Britain ignores many. That includes many of those who are well equipped to be unofficial ambassadors for our once great nation. Two people are significant players in the action on February 23rd, Glyn Davies MP and Harry Shindler M.B.E. Glyn Davies (left) is a Welsh Farmer in Mongomeryshire. He is opening a debate of Votes for Overseas Citizens on February 23rd. He has a winning personality – He needs your support. But not directly. The second person in this story in Harry Shindler. I have a great respect for Harry. He is 96 years old and indefatigable. He puts many of us to shame. I and many of us have done so little for our fellow citizens, but Harry has fought for us in war; led the campaign for the Vote and the recognition of British Citizens by our National Government. In the last week of January he was phoned at his home in Italy from Westminster. ‘Can you come to meet some MPs in Westminster?’ At his own expense he went. He met various MPs, Labour of course, of which he is a life time supporter, but the invitation was from the Conservative side, many of whom also greatly respect Harry. Harry was there to promote the cause of ‘Votes for Life’. He met Glyn Davies, he who is our present MP fighter for our Rights, and Chloe Smith M.P., who has responsibility for ‘Votes for Life’. The situation is that Glyn Davies’ motion is a ‘private members’ motion which always take place on a Friday. MPs generally skip these because they want to get home to their constituencies, and usually such debates have little importance. But the London Labour MPs have no excuse to scarper to the suburbs. Glyn’s debate is most important. If the House of Commons shows that it is important by attending in considerable numbers then it is most likely that the Government will take over the Bill and push it through to victory. Then we will ALL HAVE the Vote!. But much depends on you. Write to an MP beseeching them to attend the debate on February 23rd on THE OVERSEAS ELECTORS BILL. You think you have no MP? Yes in theory you do, even if you haven’t got a Vote and he/she does not communicate. You can find his/her name from knowing where you last lived. Even if you don’t know, then writing to ‘The MP for *****, House of Commons London, SW1A 0AA, England will get there. Although an email is something, a postal letter is far more likely to be effective. Write like this. I was a resident in your constituency of *******. On Friday February 23rd Glyn Davies MP will open a private members debate on Overseas Electors. Please, if you possibly can, attend this debate. It might well be a milestone in British Governmental history. The course of Electoral law might well change if this Bill succeeds. Harry Shindler needs your support. Please. B. SAMPLE LETTERS to write to Politicians.